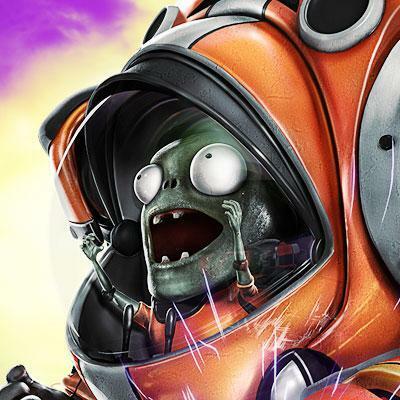 Hi, I’m Kyle Duncan, Producer for the Plants vs. Zombies Garden Warfare 2 team here at PopCap in Vancouver. One of our key development goals for Garden Warfare 2 was to allow players to immerse themselves in the world of Plants vs. Zombies like never before. We wanted players to experience what has happened since Dr. Zomboss turned the tide of the battle with the help of that pesky little Imp from the future and his mighty Z-Mech. We wanted everyone to not only see what’s happening at the front lines of the Battle for Suburbia in our Backyard, but also what the zombies are doing with areas they have managed to wrestle away from the plants — at least for now! The end result is that Plants vs. Zombies Garden Warfare 2 is poised to be one of the craziest, most hilarious shooters out there. With the expansive Backyard Battleground, 14 classes, more than 100 playable characters, and a ton of awesome maps, this game is truly going to be bigger. Badder. Bigger. 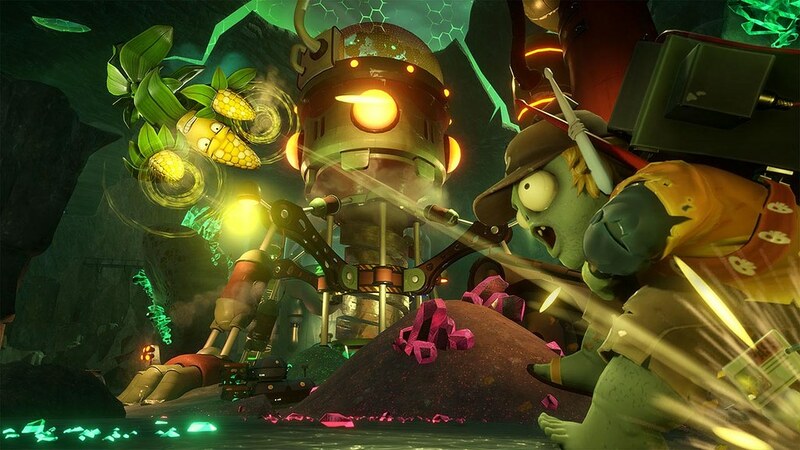 The maps in Plants vs. Zombies Garden Warfare 2 received an incredible attention to detail, each sporting great gameplay mechanics, hidden secrets, and easter eggs. From the Great White North, to the time-travel craziness of Seeds of Time, straight to Moon Base Z and more, there’s no shortage of great 24-player environments. After all, where else can you battle an imp-piloted mech in the middle of a sand storm in ancient Egypt as a bounty hunting orange from the future? Check out the Plants vs. Zombies Garden Warfare 2 site for even more, and be sure to pre-order for access to the Z7 Imp and Mech. Now each character variant has it’s own XP bar, and leveling them up will unlock new upgrades. Additionally, once the character has reached level 10, you’ll have the option to Promote them, which will change their title, as well as a new tombstone on the vanquish cam. I have close to 60 hours into the first game between the ps4/x1 versions (platinum on the ps4 version!) so I am super pumped to play this in a few weeks!! Cannot wait! Thanks for adding in costumes for the dedicated players of the first one. Are there any plans for free DLC like the first one? You bet, we’ll have free content updates in GW2 as well! I have a question concerning the coop feature of the game that i cant seem to find anywhere. In garden ops, will we be able to play 2 on the same console and go online and find 2 others people to play with? Or it will be like the first game and can only play offline with couch players? Hi – you can play co-op split screen signed into two separate accounts so both players get their XP and rewards, but as of now you can’t go online in split screen. That being said, you can play all the game modes in split screen, including multiplayer modes, against AI and still get XP and rewards as well. I know the lobby system is brand new, but could you guys possibly look into having slightly bigger parties for multiplayer? Maybe up to 6? I get the 4 since it’s for the Raise the Flag mode but it was a pain trying to get everyone onto the same team, let alone the same game in the beta. Polysics! Nice choice of background music. During the BETA didn’t it say that you can take a split-screen game online? No split screen online just yet, sorry. Oh I’m so sad It does not have online Split Screen :/ No buy from me, then. Unfortunately. It would be the perfect game to play with my girlfriend. Well It would be fun. There is no way you guys could do this? I don’t care about the fps, or the size of the screen, or even the textures. Split-Screen will always be the best. And offline split-screen is not that great. That’s why I keep buying COD every year. Does not matter how good the graphics are, they never abandon the split screen. It’s the perfect game to couch co-op, do us a favor, please! Couch co-op will always be the best. Questions about transfer. What will happen to the abilities from GW1 if you transfer it to GW2? Would it reset the abilities? If so, do we need to unlock the abilities again in GW2? 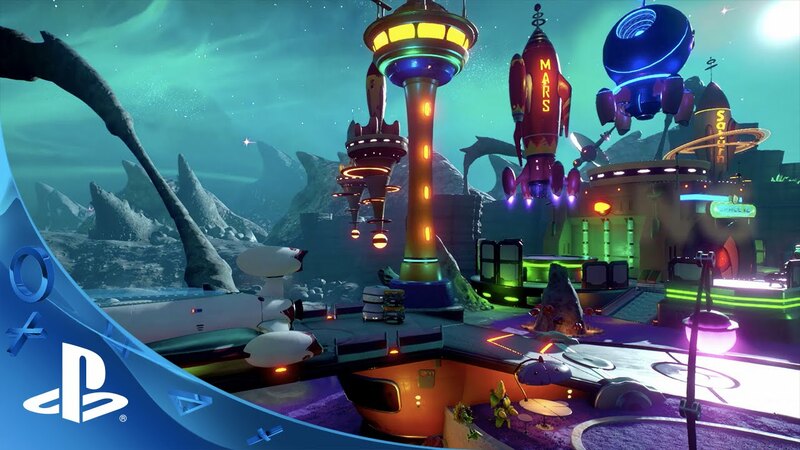 Hi, the maps for Garden Warfare 2 look pretty awesome! Please bring this game to the PS3 system as well. I know right now you’re just marketing it for PS4 and Xbox1, but if you bring it to PS3 and X360 you’ll get a ton more sales. Even if its a couple months later, I would still buy it on PS3. Not everyone has extra money to buy a new system, but a game like this on a system we already have, the great PS3, sign us up!! Also, please consider bringing Plants vs Zombies 2: Its About Time over to PlayStation platforms. Leave off all the microtransactions, include the whole game for one price, add trophies, and just watch your cash flow in! I think it would be a great game on the PS Vita, but I’d play it on PS3 as well. Thank-you! Exactly magic fan…sales would go up if they released it in ps3 and 360 as well…. The comments are really weird. I haven’t pre-ordered yet because I’m lazy, sorry juice masta. I am aware that select characters will carry over so I’m getting as many as possible before I make the jump! I can’t wait for this to come out, worthy of a day 1 buy. I don’t know why but making a nice game with FREE DLC and continuous support has really been in favor of both you and the consumers. 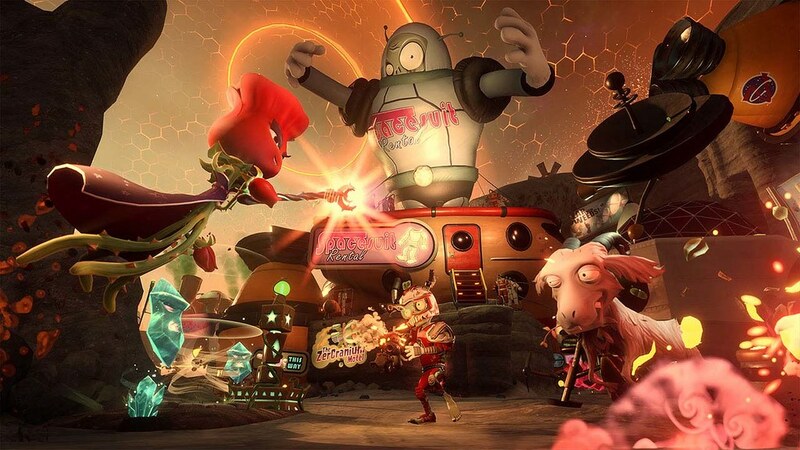 PvZ GW is an example of how a studio can go out of their comfort zone and still make something with their hearts. Thank you! So unfair and sad they are already alienating their PS3 fanbase…still love my ps3 so not chance i will buy a PS4 yet just for that… PS3 can still handle that kind of engine…they are just too lazy to port….